In an effort to create that heavenly warm feeling in our house I gave my first pie a go. Now if you are here for something that will blow your mind, this isn't it. This isn't sealaura's secret pie recipe, it is Libby's. that's right, Libby, the lady on the canned pumpkin! I still want to share this with you because you have to start somewhere. I used to get intimidated by recipes and I still do but sometimes you have to just try and get out of your cooking comfort zone. Frankly, this was not even that hard. Here are the instructions and trust me if you are a novice like me, you can do it. BAKE in preheated 425F oven for 15 minutes. Reduce temperature to 350F; bake40-50 minutes or until knife inserted near center comes out clean. Cool on wire rack for 2 hours. Serve immediately or refrigerate. Looks and sounds delicious. I think you did a great job. I still get very intimidated by recipes, especially long ones. Tonight I'm making a linguine carbonara. If it's good, I'll share the recipe. ps. Had been working on a Halloween post, but to answer your question, Boyd is going on Spiderman this year. Well done! It's strange pumpkin pie is not something we eat here in the UK yet it's massive in the US. I really want to try it now! 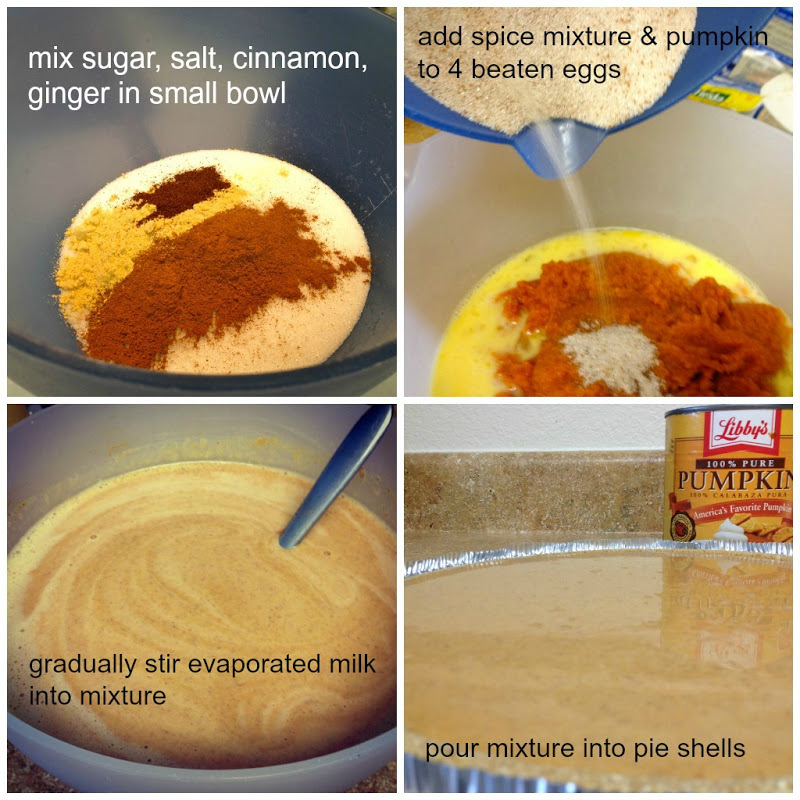 I use the same pumpkin pie recipe. It looks delicious, Laura. Well done! Laura, congrats on making pumpkin pie! 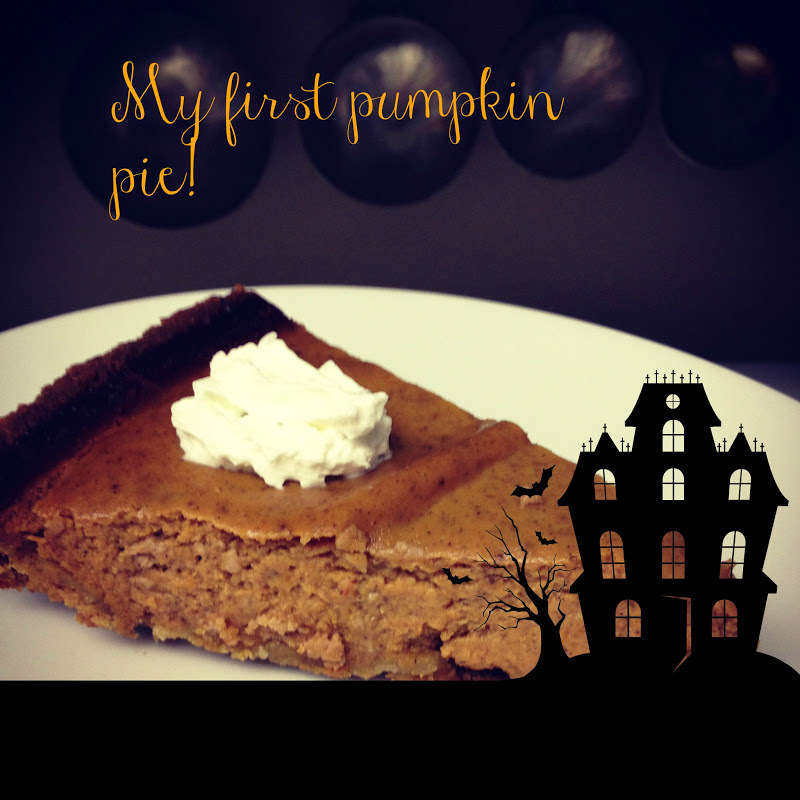 And I love your creatively cute photo with the haunted house! ps. your post on friendship bracelets made me smile... I remember spending HOURS making those!